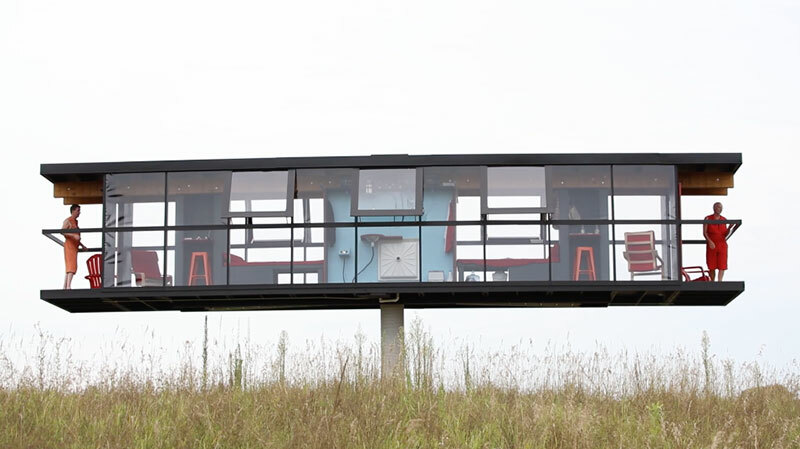 Artists Alex Schweder and Ward Shelley latest work entitled ReActor is a house that rotates 360 degrees on a concrete column and also tilts in response to the artists movements, exterior forces, and interior conditions. 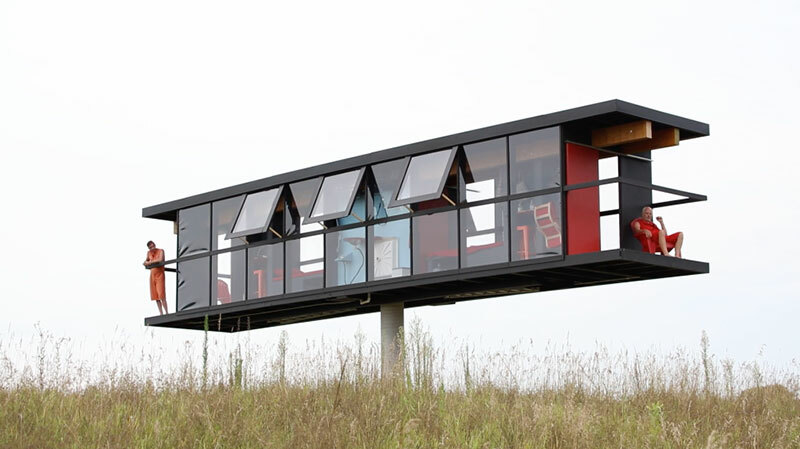 Commissioned by OMI International Arts Center, the house located in upstate New York is a 44-foot by 8-foot structure that has identical living quarters, a shared bathroom in the center, and two external balconies—one for each artist. ReActor adds to the artists' series of experimental "performance architecture" based on the notion that relationships between occupied spaces and occupying subjects are permeable. 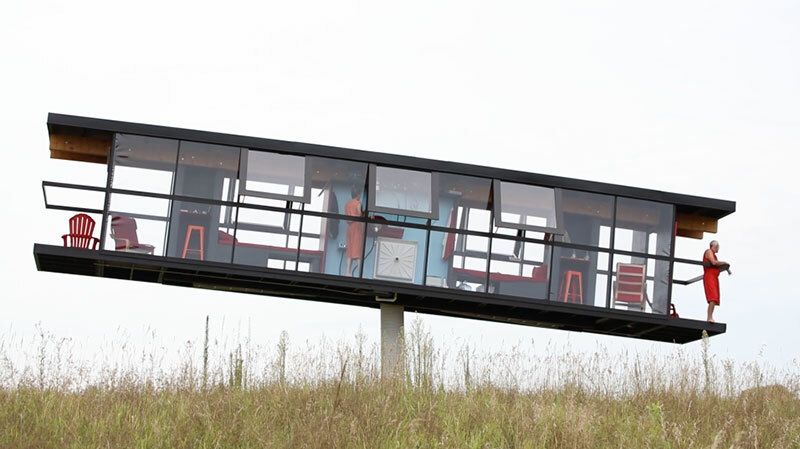 Artists Alex Schweder and Ward Shelley latest work entitled ReActor is a house that rotates 360 degrees on a concrete column and also tilts in response to the artists movements, exterior forces, and interior conditions.